The UK's Treasury Committee is to examine allegations that HSBC's Swiss private bank helped clients evade tax. Committee chairman Andrew Tyrie said the committee was concerned about the allegations and had decided to take oral evidence from both HSBC and HMRC. Meanwhile, the BBC understands the Treasury is preparing legislation to tighten the tax evasion laws. BBC business editor Kamal Ahmed has been told that it is preparing legislation to tighten the rules on undeclared income held in offshore accounts. The chancellor made it clear last April that he would like to toughen the rules over tax evasion including offshore banking. Since then there has been international agreement on the automatic exchange of information regarding tax matters, but no unilateral steps from the UK government. Mr Tyrie said the committee would be probing whether banks had made adequate progress in changing their own practices. "The committee will need reassurance that they have done so in private banking." Mr Falciani, a former IT worker for HSBC, said UK tax authorities would have known about the stolen list of clients of HSBC's Swiss private bank when it was given to French officials. The BBC has also learned the UK tax authority is to expand its inquiry. HMRC will meet the police and the Serious Fraud Office later in the week. Speaking to BBC Radio 4's Today programme, Mr Falciani said French authorities had got in touch with HM Revenue & Customs and passed on information in 2010. He said the UK government should have known the bank itself was doing wrong in 2010. "By that time I (had) already declared and explained the problems that were happening," he said. "It was made public at that time and of course I already at that time explained the major, huge issues we were foreseeing inside HSBC," he added. Asked if the information Mr Falciani had provided in 2010 was also about the behaviour of the bank, as well as individuals, he said: "It was exactly about the behaviour and containing all the required information for an internal audit." He said there was much more to be shared and that co-operation between European tax authorities would reveal far more evidence. His latest revelations follow angry exchanges on Wednesday, when MPs accused tax officials of failing to deal with issues adequately. Herve Falciani's interview on the Today programme has raised two important issues. Firstly, that he offered information in 2010 to UK authorities that HSBC was involved in aiding and abetting tax evasion for its clients. The government says that all it knew about were the publicly reported facts that clients of HSBC's Swiss bank were being investigated over their tax affairs. And that meant there was no reason to prevent Lord Green, the former chairman of HSBC, becoming the new trade minister. Secondly, that HSBC's Swiss bank controls in the 2000s were in a mess and that failing computer systems made it impossible for the bank to have "sufficient oversight". This is vital, because allegations of lack of control and oversight are toxic for any bank and its board. Don't forget, HSBC was fined nearly £1.2bn for governance failures over money laundering allegations in its Mexico operation. 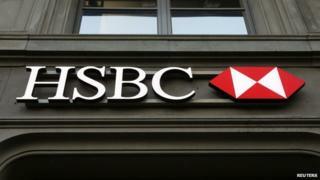 HSBC says that controls have been improved in its Swiss operation. The question is: if Mr Falciani is correct, why were they allowed to get into such a mess in the first place? Ms Homer explained why there had been only one prosecution of someone whose hidden accounts in Switzerland had been revealed.